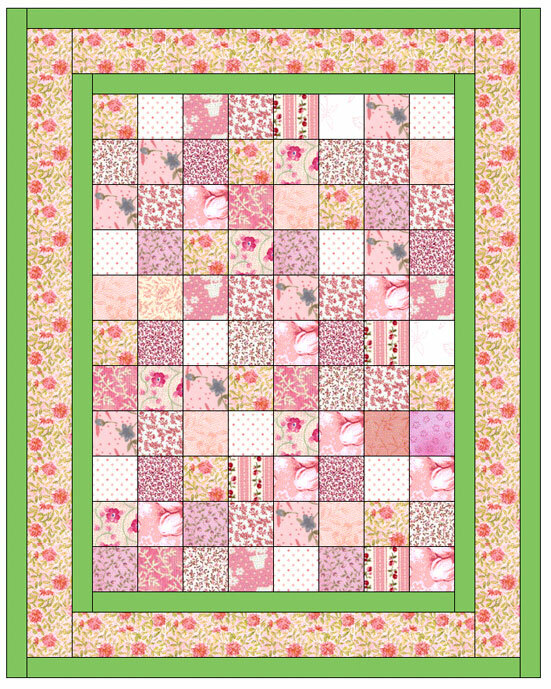 And yet again... another "charm square" quickie quilt. 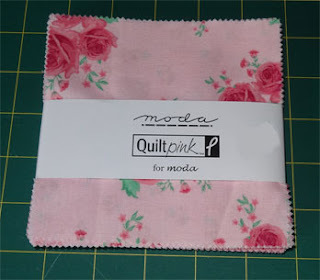 I'm rushing a bit now, as I set a goal for myself at the start of the year to do one quilt a month (minimum) for the "Inspirational Quilts" charity - and I'm behind. So here's anothe. 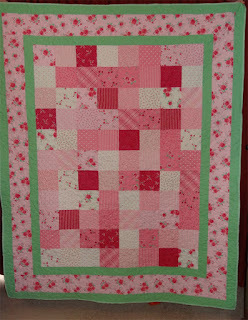 And here's the finished quilt! And here's a close-up of the backing (the solid pastel mint green) and the binding/borders - showing my "loop-d-loop" free-motion work. It only took me 2 hours to do the quilting - so I KNOW I'm getting faster. 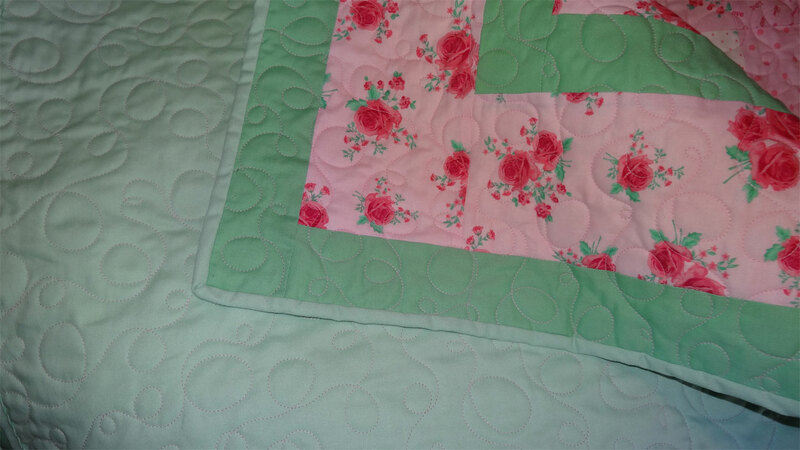 Actually - I'm quilting about as fast as I dare, suspecting that going any faster than I did on this quilt might actually cause the needle to heat up too much. 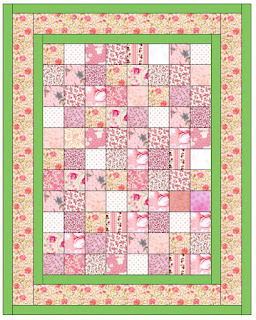 Looking back on the other charm-square quilts I've done, I have to say that I generally prefer the borders to be solids which pull out colours from the prints - this one, however, I do like the pink printed border (the fabric matches one of the squares - see the one in the upper left of the center?). Quilt 77: Moda "Poetry" Charm Squares - DONE! 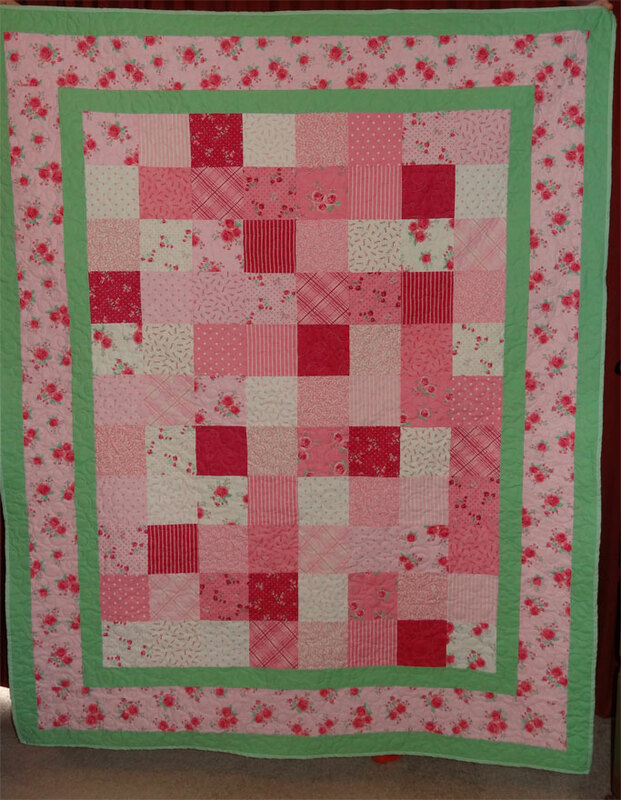 Quilt 78: Peek-a-Boo Pinks and Purples - DONE! Quilt 80: Hawaiian Surf Boards - DONE!